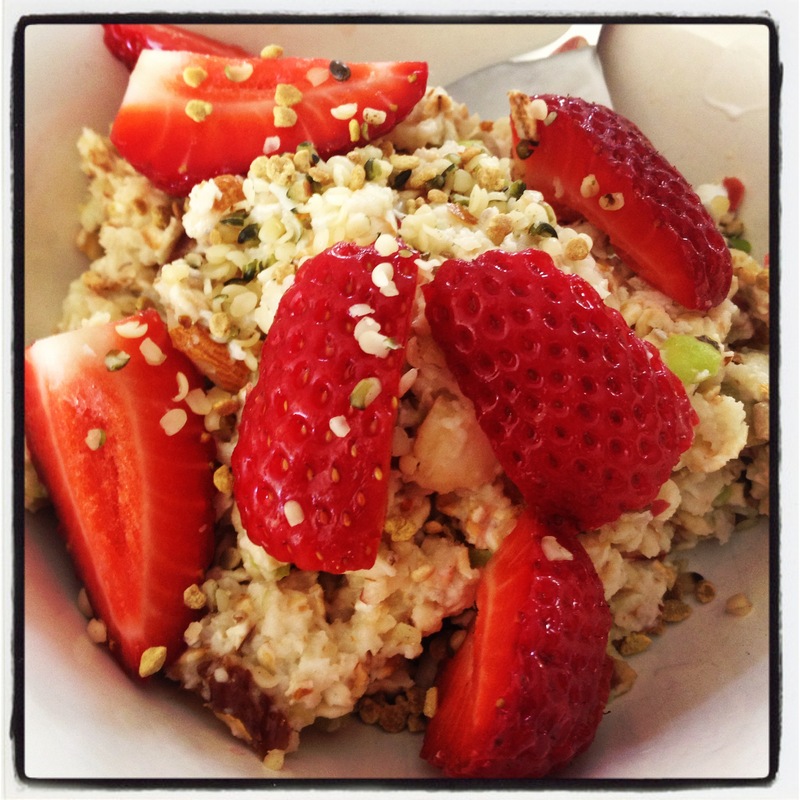 CADA turned instant bircher muesli! One of my favourite breakfasts is CADA – Coconut, Almonds, Dates and Apple and this spin on standard CADA is delish! This breakfast is simply making CADA and adding oats, yoghurt and extra goodies like sunflower seeds, pumpkin seeds, chia seeds, linseeds, hemp seeds, bee pollen or whatever it is that you have in your cupboard. I make up a big batch of this so I can have it for breaky for a few days. Place coconut, almonds, dates and apples into TM bowl, set lid to locked position and turbo 2-3 times for 1 sec each time. Scrape down sides of TM bowl. Add the remaining ingredients and mix on reverse, speed 4 for 5 seconds or until combined. Serve with fresh berries and a sprinkling of bee pollen. The above quantity gives me around 4 – 5 serves and keeps well in the fridge.